This families bulletin features a colorful design on the front cover with a blank inside & back cover. Works with all printers and copiers. 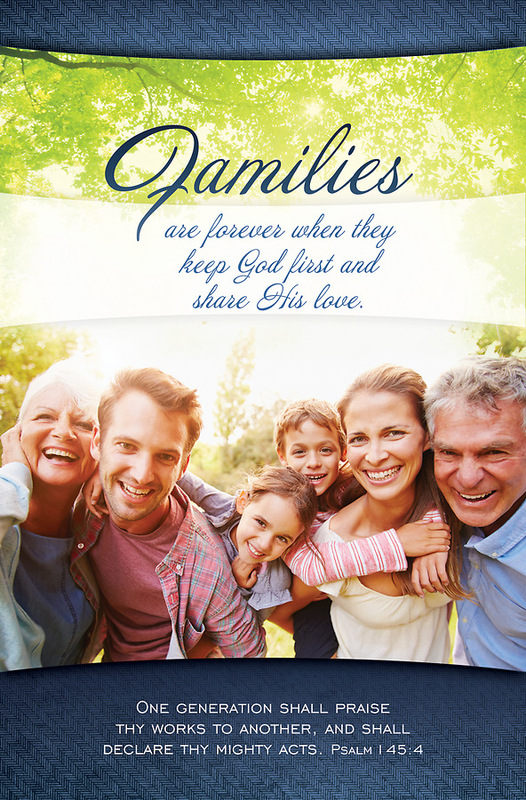 Families are forever when they keep God first and share His Love.